Please join Jake Hudnut for a Very Proud Fundraiser on Wednesday, August 23, 2017 at 6:30pm at Atlas Public House, 30 Newark Avenue, Jersey City, NJ 07302. Featuring LGBT activist and best-selling author David Mixner. 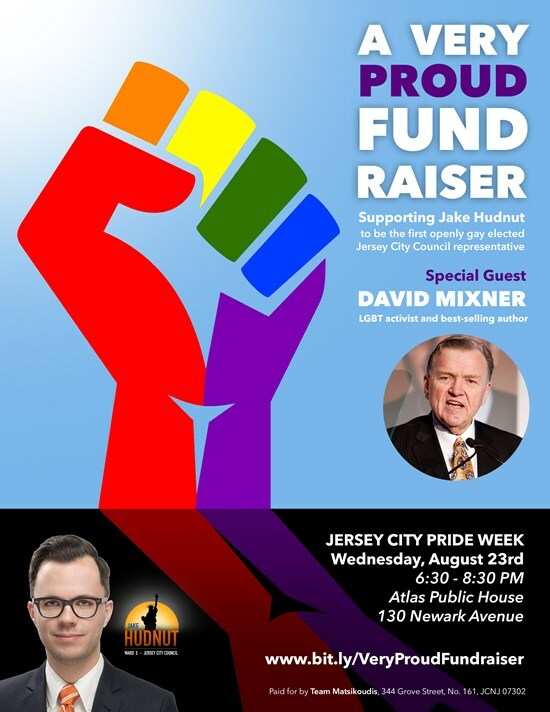 This event coincides with Jersey City's LGBT Pride and supports the election of Jake as Jersey City's first openly gay elected City Council representative. Every day Jake is canvassing Downtown Jersey City, meeting neighbors, and hearing their concerns. Your support helps Jake reach voters and share his progressive vision for Jersey City. 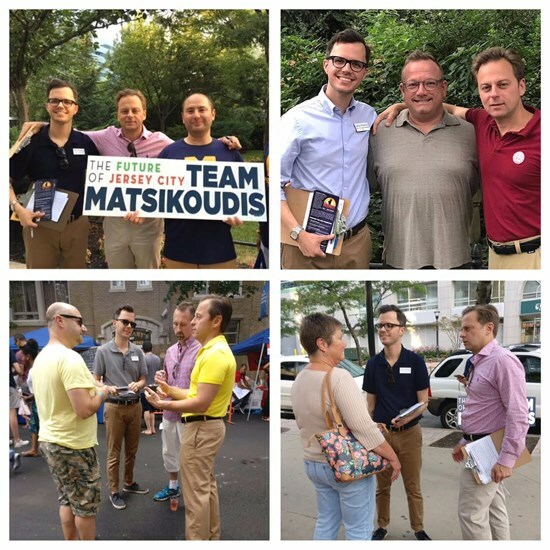 Downtown voters want a representative who will stand for progressive causes and who has the background as a fighter to deliver real results on the City Council. Jake is that candidate.